Our team took a quick weekend retreat to the central coast of California to participate in the Big Sur International Marathon. After logging 26.2 miles, we took some extra time to explore our new surroundings. This little slice of paradise left us feeling refreshed, inspired and full of new ideas. We fell so in the love with this little corner of the country we just had to share our favorite spots. We set up camp on the edge of Monterey Bay, nestled in the midst of shopping and dining. We explored local art galleries and took a tour of the past while visiting Cannery Row Antique Mall. There, we discovered relics of old wooden ships and a plethora of antique woodworking tools (naturally, our favorite find!). If you are looking for a unique and authentic decor item for your home, this is the place to go! Rent a bike or put on your walking shoes and take a stroll to Pacific Grove. You'll be surrounded by streets filled with quaint beach bungalows and instantly feel reconnected with nature. Brightly colored foliage will fill your senses, along with a stretch of active sea life. 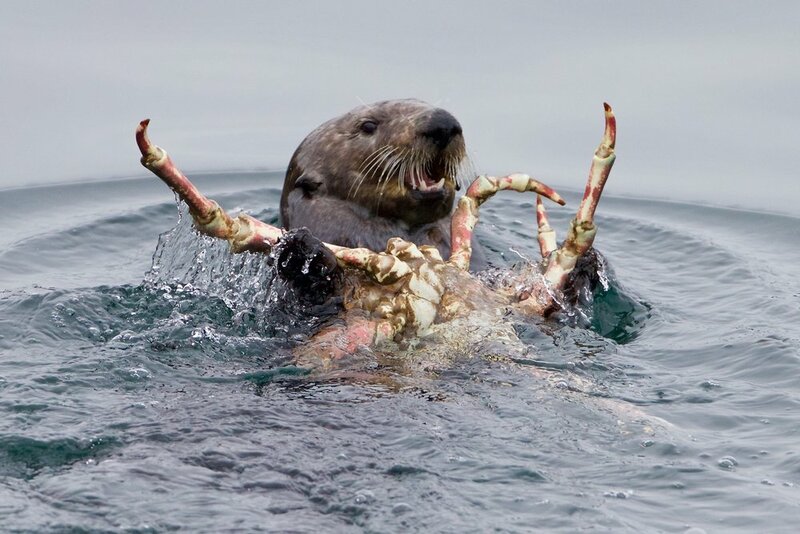 It's not unusual to spot playful sea otters, harbor seals and dolphins. 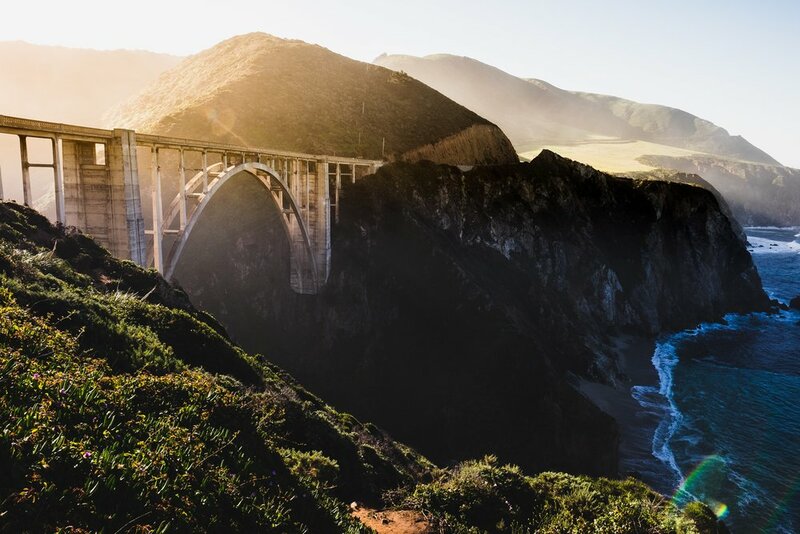 While you're there, take a rest at Lover's Point under the shade of the iconic Monterey Cypress trees, then make a visit to the Monarch Butterfly Sanctuary. A walk down Fisherman's Wharf is a must! Immerse yourself in the local fare and grab a delicious bread bowl of clam chowder - we promise it won't disappoint! In downtown Monterey you'll be greeted with more shopping, dining and coffee shops. We loved Saffron Cafe, which served up a tasteful, healthy meal to fuel us for the rest of our trip. Only a short drive away is Carmel-by-the-Sea, offering sites of more charming homes and beautiful coastline. 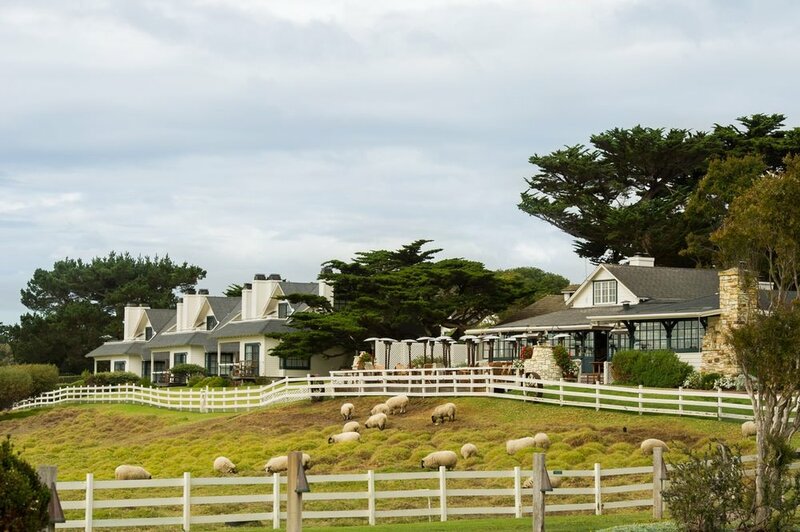 Take a wine tour through local vineyards or rejuvenate in a day spa, then head for an intimate dinner at Clint Eastwood's Mission Ranch. Our time exploring the vast beauty of the Big Sur area was one for the books. After seeing the delicate flowers juxtaposed with the rugged, rocky coastline, our design wheels are spinning. We feel inspired to find ways to incorporate the easy, breezy California lifestyle and its natural wonders into our furniture.